Uh? 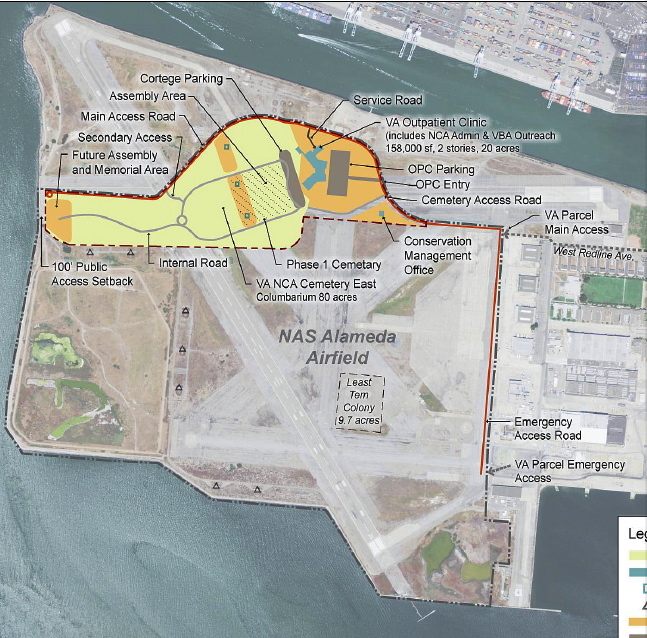 For a few years now, our city leaders have been telling us we don’t have any say about what happens on the federal land at Alameda Point. Recently, they ironically repeated this mantra while approving the VA’s “term sheet” and changing the city’s boundaries to accommodate the VA.
Come on. Either we have a say, or we don’t. If we have no say, then why was the city part of the negotiations to move the location of the VA’s project onto our Northwest Territories? If we have no say, then how was the city able to decline building the VA clinic on the site proposed for the Lawrence Berkeley Lab because the city would rather “locate a commercial tenant” there? The VA has listened, albeit to a limited number of stakeholders. They have agreed to move the clinic further north away from the least tern colony and to move the emergency training drills off the preserved wildlife area. They added a public road leading to the western shoreline, which will one day serve the regional park and Bay Trail. They included a separate Conservation Management Office building dedicated to the undeveloped area. We will soon find out if the VA will embrace the city’s recent zoning resolution and officially designate its undeveloped land as a Nature Reserve. There is no doubt that both the city and the VA were delinquent in not openly and frequently including the general public during the planning process, but for the city to imply that we have no say is a stretch. 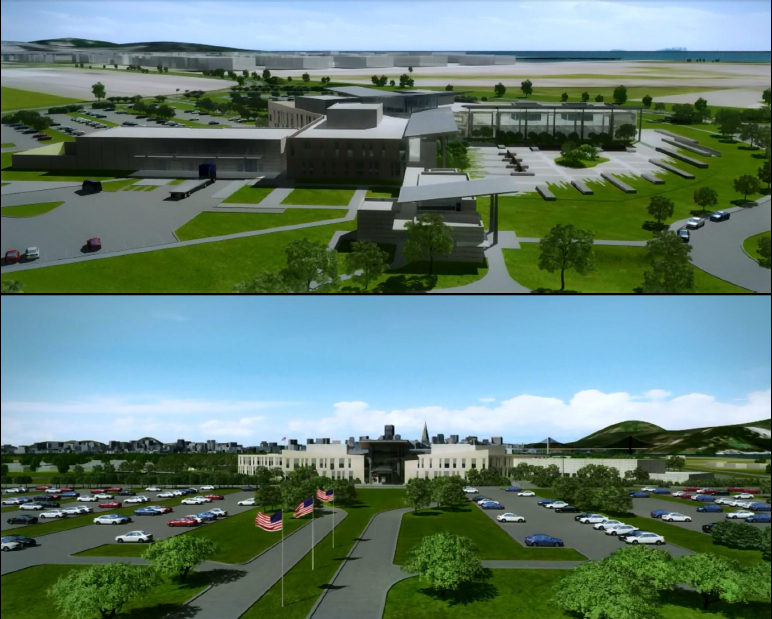 Now it’s the public’s turn to comment on the environmental impacts of the VA’s project. Despite the assertion the feds are an imperious force in town, the VA has responded to the outcry over the short review period. 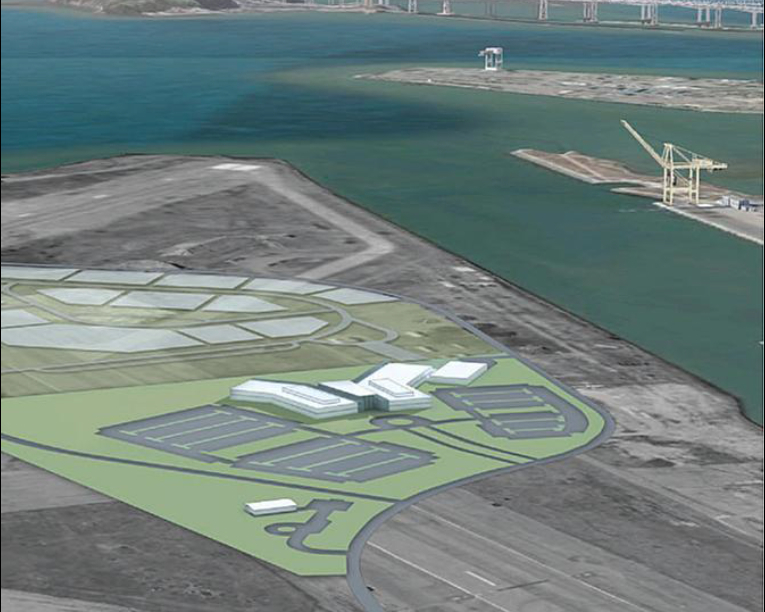 It has extended the comment period on its environmental document to April 19 and is holding another public meeting at Alameda Point’s O’Club, 641 West Redline Avenue, on Wednesday, April 10, from 4 p.m. to 7 p.m.
At the first two meetings aboard the USS Hornet, the VA and the Navy had posters with maps and words. My hope is that at this third and final meeting, the VA will proudly showcase the drawings of its project. The illustrations are indeed impressive and, if displayed, can show the public how the buildings will look up close and against the backdrop of the Port of Oakland, the Bay Bridge and the San Francisco Skyline. The “feds” flyer says, “Your comments are important! All comments will be considered and responded to in the final [environmental assessment].” Isle Say we have a say. This entry was posted in Alameda Point, VA and tagged Alameda Point, VA, veterans clinic and columbarium. Bookmark the permalink.